SD-WAN specialist Aryaka Networks is looking to roll out a formalised channel partner programme in the next few months. The firm hired Olen Scott to head up its channel activities five weeks ago and he has already set about working on devising a more structured approach. He is looking at identifying those channel partners that deserve more focus from the vendor and then in parallel developing a programme that will provide them with the rewards and support needed to succeed in the SD-WAN space. "I am looking across the partner community and identifying partners out there and putting structure around those who are delivering the biggest impact, including SIs, VARs, MSPS, those that deliver solutions," he said. He is also hoping to increase the interaction that the firm has with the cloud service provider community and those in the channel that have chosen to specialise in delivering SaaS solutions. "We want to put more programmes in place around the channel," he added "We want to get a little narrower in our approach and go much deeper." Even though he is only a matter of weeks into the senior vice president, worldwide channels, role at Aryaka, Scott knows he has to make a difference fairly quickly: "We have already begun to structure that. I am in a hurry, time is not my friend." The plan is to develop a structured channel programme which offers certification and enablement tools like training and MDF. Scott said that most of the elements were already in place but had not been previously pulled together to in a formalised manner. 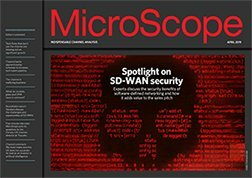 There continues to be a fair amount of buzz around the SD-WAN market and Scott added that it was continuing to play a role in educating partners about the potential market opportunity. "There is a challenge with education. The biggest struggle I have right now is to have a bigger megaphone. We have a 8,000 installed base globally but we are still too well kept a secret. When we get an opportunity to tell our story to a customer or partner we are nearly always successful," he said.